We carry a wide selection of material such as sand, gravel and rocks to help beautify your garden and landscape design. Material is ready for pickup or delivery. 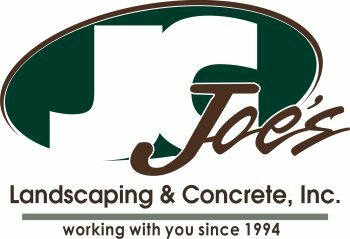 Joe's Nursery is striving to be the one stop for all your outdoor needs in the west side including Newman, Gustine, Crows Landing, Santa Nella and Patterson. We carry an extensive selection of nursery plants and all the other items you will need to finish any outdoor project. Not sure what to get for yourself or that special someone in your life? Why not go green? Give the gift that keeps on growing. We carry an array of flowers, plants, herbs, vegetable, fruit and shade trees. Our items come in all sizes for your indoor and outdoor needs. Don't have time to do the project your self? Let us do it for you! We have a staff of friendly and knowledgeable people to help you with your needs. Remember if we don’t have it in stock or don’t carry the type or size you want we can special order it for you, just let us know. We have access to a wide range of suppliers who can get just about any plant you want in just the size and quantity you need for that special project in your yard. For big projects we can deliver and help with the planting work as well. You should not have to choose between affordability and durability, that is why we are proud to offer you irrigation supplies which are both durable and affordable. We carry a full line of Hunter and Rain Bird nozzles, pop-ups, rotors, valves and controllers just to name a few. Come and check out our irrigation supply inventory today! We also carry decorator items to help you bring plants and garden items to any part of your home. Having plants inside your home is an easy way to bring an ever changing design element to your decor. Live plants will also help to improve indoor air quality. We have houseplants themselves and the necessary pots and display items to make your home look like it has a little bit of your garden in every room. Ever wondered how you can make that plain, boring, and dull garden look like the ones you see on TV? It’s quite simple, by accessorizing it. We carry sculptures, water fountains, bistro/patio sets, pot stands, pots, pot hangers and many more gardening accessories and tools that will allow you to plant, maintain, and show off your garden. You’d be amazed to see that sometimes all you need is a different pot, or a new sculpture or a new stand in order for it to glow. In our attempt to provide one stop service to the Westside we carry a selection of the tools and gardening supplies you need to keep your garden looking its best. We carry Corona and other fine pruning tools along with all the shovels and rakes and other digging accessories needed to get everything planted and landscaped. To help you with your planting chores we carry a wide selection of products by: Dr. Earth, Recology, Bonide, Monterey, Round-up, and Black Gold.